This was started in the Spring of 2017, before the local elections which were not good, and well before the General Election the results of which suggests that a wake might be premature. I had been planning something along the lines that classic social democracy was struggling around the world. The Lawson article below catalogues its electoral failures, obviously it used the reviews to chart the rise of Corbyn, which asks if he could make a difference; the polls weren't looking good. Lawson suggests two routes forward, one of them PR with which I agree, although I suspect his appeal for a progressive alliance is over for the moment. I conclude with a White Paper which argues that Labour has killed its democracy and that will inhibit it's renewal. The General Election result which happened just a month ago, (on the original publication) will change the way we read this story. The way that rump New Labour holds onto power and its historic apolitical practices remain a problem for Labour. The first is from the TLS and is a polemical review of three books about the rise of Corbyn. They say, "Rosa Prince, in Comrade Corbyn, offers a pacy biographical account, sourced predominantly from outside his circle; Alex Nunns’s The Candidate is a very well-researched narrative, widely sourced but written from a supportive perspective; and Corbyn: The strange rebirth of radical politics by Richard Seymour mostly eschews the personal for a witty and acute political and historical analysis from a position to the left of Corbyn." Robert Potts: Jeremy Corbyn’s victory in the Labour Party leadership election of 2015 no longer seems as remarkable as it did at the time. The review of Nunn's book catalogues Corbyn's ascent to power through the failure of Blairism, the slow re-joining of the soft left who'd given up during New Labour's ascendency and the final accumulation of the young and the new Left from single issue politics. The reviewer is pessimistic of Labour's chance of victory, but points to the Referendum Party's 1997 catastrophic failure and remarks that the future is hard to forecast. He does say that Labour's majority want to focus on inequality and to reject insipid triangulation and that the left majority is solid for the foreseeable future. 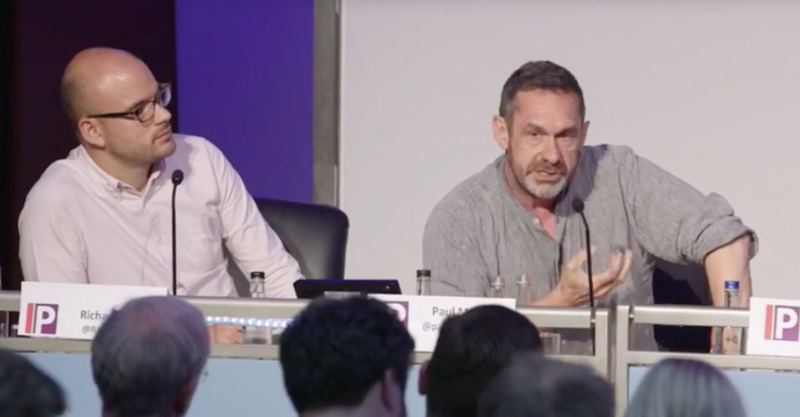 A view to be repeated by Paul Mason at a Progress Conference later in the year. The next article is by Neal Lawson, who's strong on the road to irrelevancy, the weakness of the Unions, the loss of social memory of the depression and WW2, the decline of manufacturing and its command and control management style which was used by the Atlee & Wilson Governments and still aspired to by the New Labour rump. 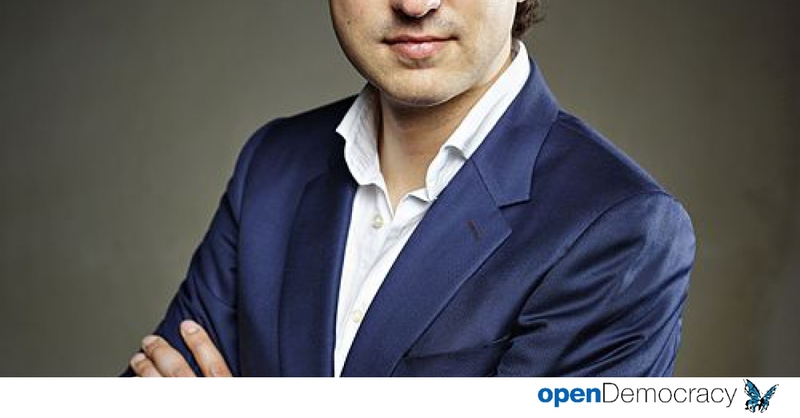 He notes the failures in Greece, Holland and France of Labour's sister parties. A paper by Emanuelle Averil on New Labour, shows its managerialism and the destruction of its activitist commitment and influence. An unfinished white Paper by Emmanuelle Avril of the Université Sorbonne Nouvelle. The paper is called, The (Unintended) Consequences of New Labour: Party Leadership vs Party Management in the British Labour Party. The sustained efforts to control the grassroots were based on a misconception of local parties and members, who were seen, in keeping with the old Duverger model, as dangerous radicals who would thwart the modernisers’ ambition to make the party more responsive to the voters. However, the rare empirical studies to investigate the supposed ideological gap between Labour members and Labour voters (Seyd and Whiteley, 2002) have shown it to be in fact very slight and a matter of degree rather than of a real divergence of opinions. In political science, Duverger's law holds that plurality-rule elections (such as first past the post) structured within single-member districts tend to favor a two-party system and that "the double ballot majority system and proportional representation tend to favor multipartism". The discovery of this tendency is attributed to Maurice Duverger, a French sociologist who observed the effect and recorded it in several papers published in the 1950s and 1960s. ... instead turned a pluralistic party into a highly factionalized one. ... the way the newly created policy forums functioned, where minority opinions struggled to even be recorded. ... it s ironic that as Tony Blair became leader and as New Labour was swept into power, an entire wave of groundbreaking management books, developing the model of the learning organisation. The Averil paper in particular is worth a read, it encapsulates a lot of what's wrong with the Labour Party today.